Mystery Solved: Did Local Catholic Priest Father a Child? 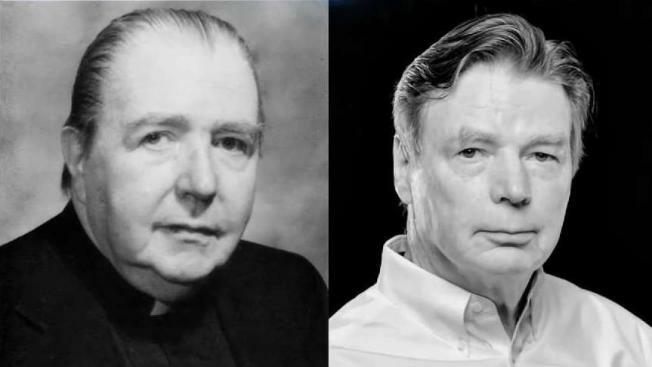 A DNA test has confirmed the late Father Thomas Sullivan is the father of Jim Graham. A man's 25-year struggle for the recognition he knew in his heart ended when a DNA test confirmed that his father is a now-deceased priest. The man says he doesn’t want compensation or money from the church. Rather, he only wanted validation, recognition, a confession. Now that the man has his proof, he hopes his story will serve as a precedent to others whose parentage the church has denied. A Buffalo, New York, native's 25-year struggle for the recognition he knew in his heart ended in Paxton, Massachusetts, Tuesday afternoon when a DNA test confirmed that his father is a now-deceased priest born in Lowell and buried in Tewksbury. Jim Graham learned that Father Thomas Sullivan is, with near certainty, his biological father. He called, prodded, dug, and finally won permission to exhume Father Sullivan's body to retrieve samples for the DNA test. The results potentially open the door to thousands of other men and women around the world to press their claim against the Catholic Church that their fathers are priests. Rather than hear the results over the phone, Graham drove to Anna Maria College in Paxton to hear the news in person. Graham said he has been convinced for a quarter century. But finally, confirmation. And relief. “A bit drained emotionally, but a bit relaxed,” he said. Amid family rumors, it’s a journey that began at the kitchen table of who he thought were his aunt and uncle as they slid an obituary across the table. Jim Graham looks into the past of Father Thomas Sullivan and their possible relationship. “They said to me, ‘This man may be your father, but we don’t know. Only the principals know and they’re all dead,’” Graham said. That day in December 1993 launched the quest. He has questioned the church, gathered orphanage records, hired private detectives. At the center of it all stood one question: Was Father Sullivan, a priest from Lowell, a graduate of Boston College, buried in Tewksbury, his father? “When it’s validated, it hit home,” Graham said. Graham said he doesn’t want compensation or money from the church. Rather, he only wanted validation, recognition, a confession. “They tried to bury our history and I wasn’t going to let that happen,” he said. Jim Graham takes his mother's old address book and locates a nun from New York as he looked for clues to his past. And he never thought it had to come to digging up a body. Graham believes the church took his real parents from him, all to avoid the scandalous fact that a priest fathered a child with a married woman. He talked to priests, nuns, bishops, officials of the Missionary Oblates of Mary Immaculate, asking for verification and recognition. Often, the was just told he can’t prove anything. Now that he has his proof, he hopes his story will serve as a precedent to others whose parentage the church has denied. Jim Graham continues his mission to get a confession from Catholic authorities that he is the son of a priest. And they would be happy to talk with him.